For its fifth Parisian edition, the Outsider Art Fair collaborates with Drouot by hosting two conferences on Saturday 21 October 2017. 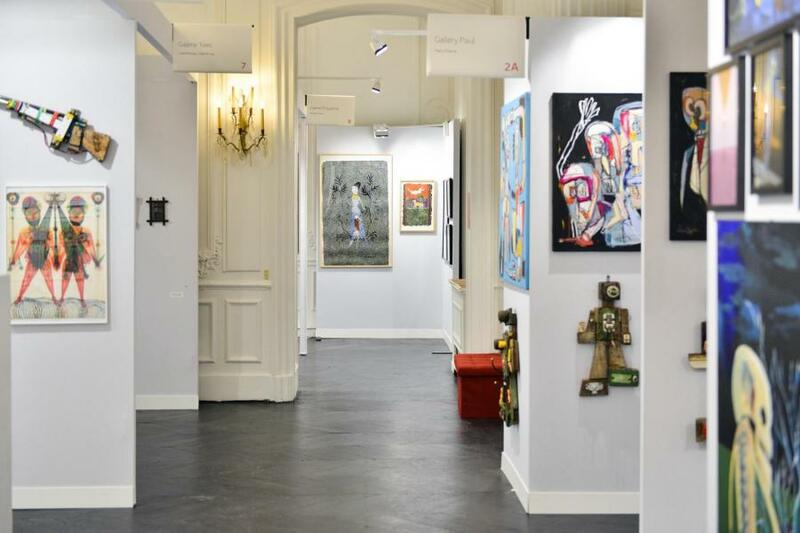 As part of the exhibition Daniel Cordier and Outsider Art held at the Outsider Art Fair Paris (Hotel du Duc from October 19 to 22, 2017) the Hôtel Drouot will host a round table with Daniel Cordier about his journey as a gallery owner and collector. He will be joined by Antoine Gentil, curator of the exhibition and organizer of the round table, Anne Sauvagnargues (philosopher, professor and artist featured in Daniel Cordier's collection) and Valérie Rousseau (curator at the American Folk Art Museum, New York). In 1942 and 1943, Daniel Cordier was the secretary of Jean Moulin, who introduced him to modern art. At the end of the war, Cordier began to write, paint and collect. From 1956 - 1964 he opened galleries in Paris, Frankfurt and New York. ) His collection was the subject of an important donation to the Centre Pompidou in 1989. One of the founding members of the post-war art movement Cobra, Karel Appel first discovered Jean Dubuffet's work and his collection of Outsider Art in 1947 at Galerie René Drouin in Paris. In 1950, Appel revisited the city to see the groundbreaking International Exhibition of Psychopathological Art, which featured more than 2.000 works by patients deemed mentally ill. Appropriating the accompanying brochure, which featured descriptions of the patients' pathologies but no illustrations, Appel covered the pages with his own spontaneous drawings and collages, and he kept the transformed catalogue, which he titled Psychopathological Notebook, with him for the rest of his life. Taking this story as a starting point, this panel discussion examines the influence of Outsider Art on Appel’s work and the continuing impact of Cobra and Outsider Art on contemporary artists. The Karel Appel and the Influence of Outsider Art talk is organised by art critic and writer Paul Laster, and will be presented by critic Vincent Noce, writer and the Editorial Advisor for the Gazette Drouot. The panelists are Franz Wilhelm Kaiser (Director, Bucerius Kunst Forum, Professor at the University of Fine Arts Hamburg and Vice President of the Karel Appel Foundation), Choghakate Kazarian ( curator at the Musée d’Art moderne de la Ville de Paris) and Agathe Snow (multidisciplinary artist, whose work has notably been exhibited at the New Museum, Palais de Tokyo, New Museum, Jeu de Paume, Deutsche Guggenheim and Whitney Museum of American Art).